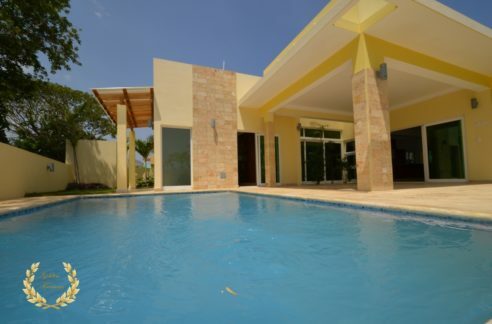 Luxury Cabarete beach villa, for sale in Cabarete within walking distance to secluded beaches in a luxury villa residential complex. 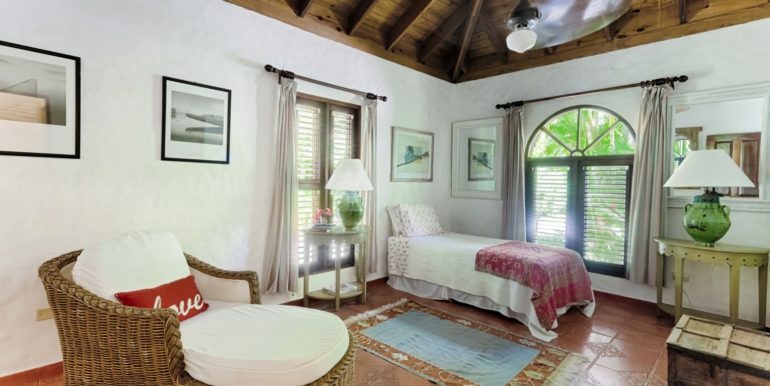 Featuring 3 suites, 2 bathrooms, classic gazebo area facing the swimming pool, fully furnished in Marina-style accents. 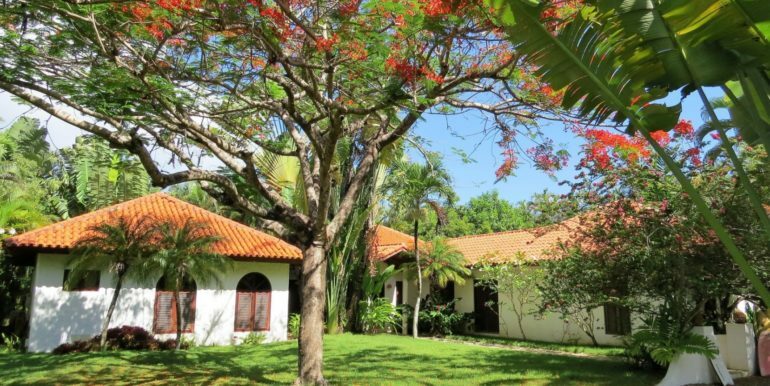 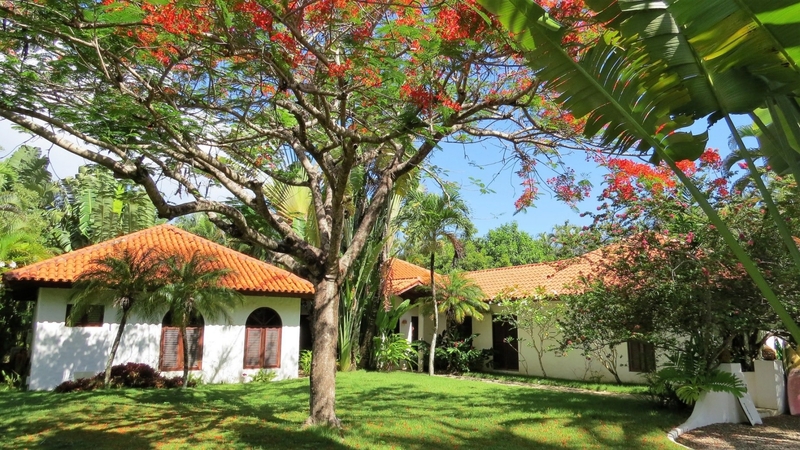 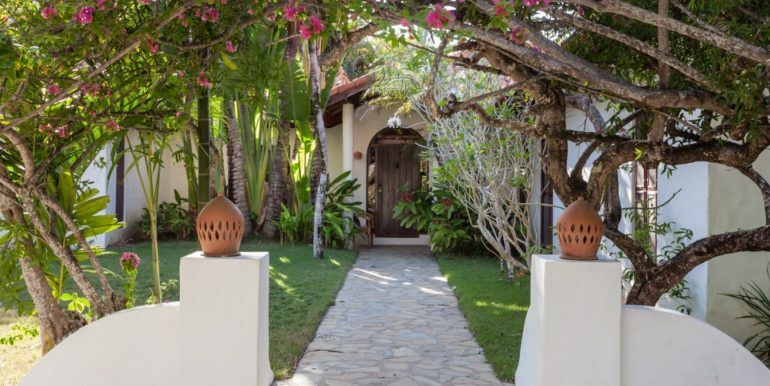 This beautiful Dominican Republic villa was designed as a one-story set of separate living spaces, in Indonesian style and has been embraced by trees in a natural way that has added to its beauty. 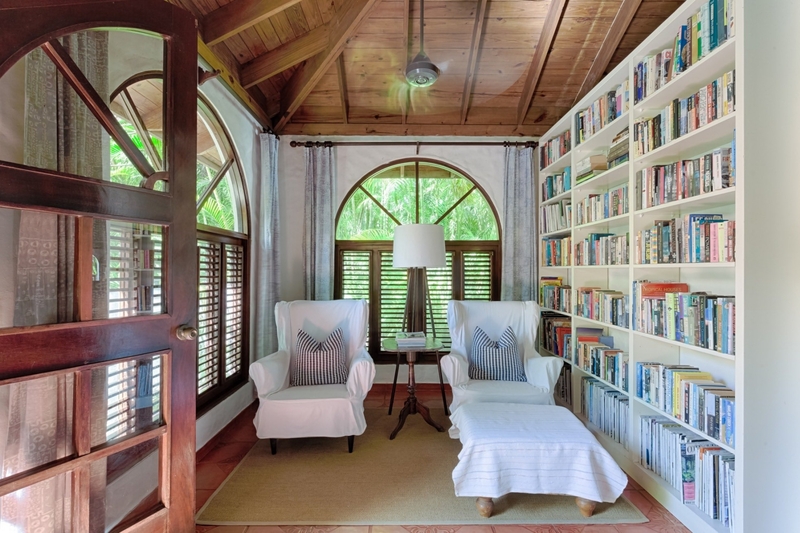 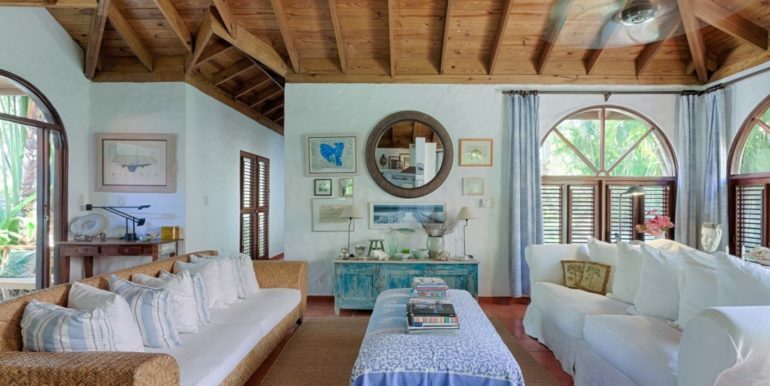 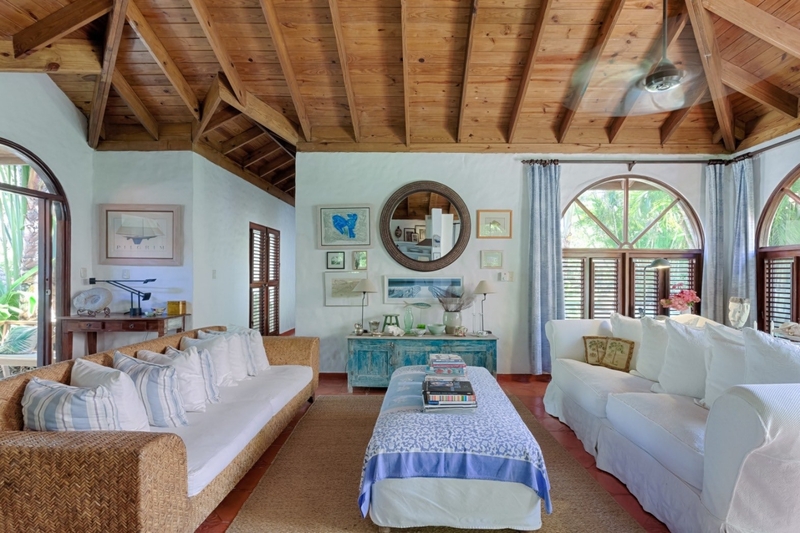 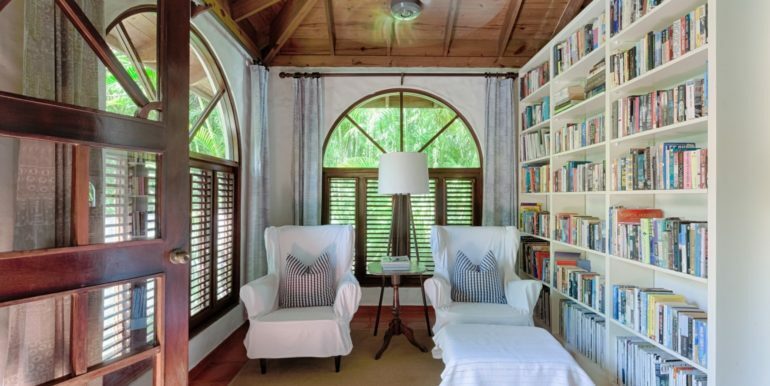 Elevated, vaulted wooden ceilings combined with symmetrical arches thresholds and windows give the house an old Colonial flavor, and the antique and contemporary furniture are a perfect balance. 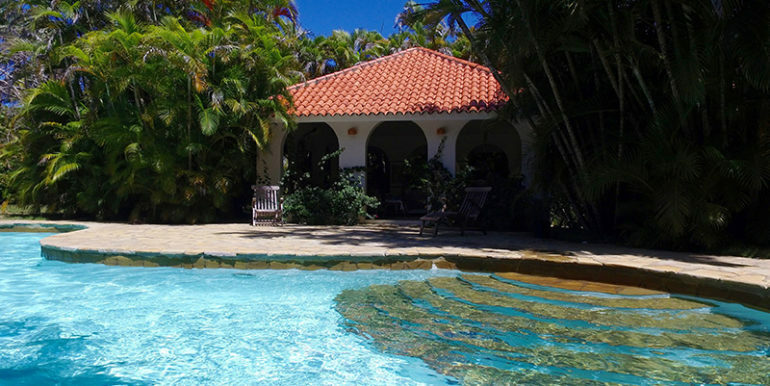 The swimming pool area is covered by palm trees and green gardens that extend towards a rather large patio area. 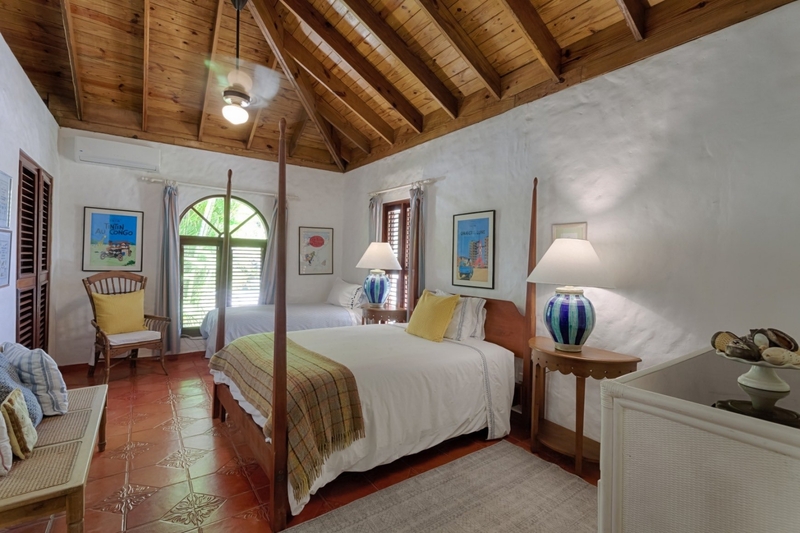 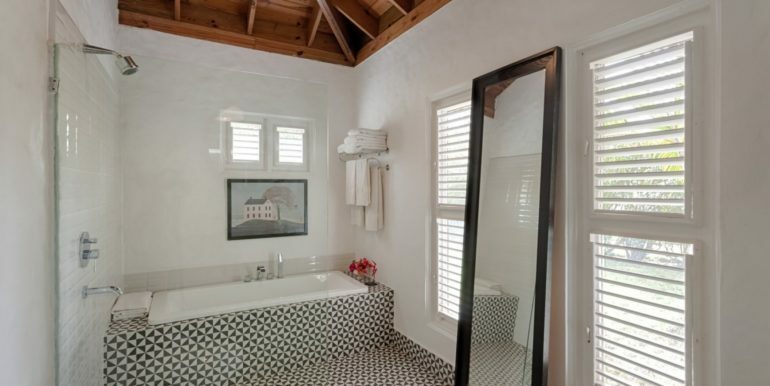 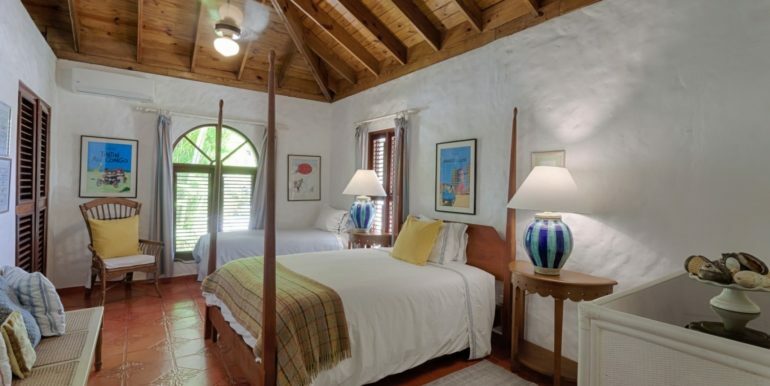 The bedrooms have walk-in closets and lounging areas, and most have direct views to the pool. 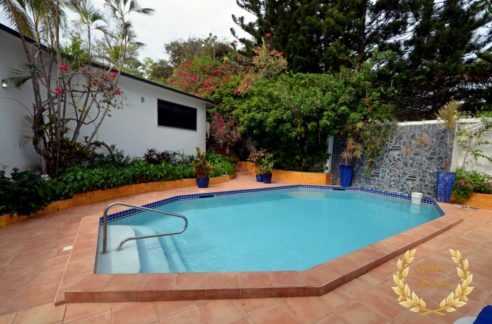 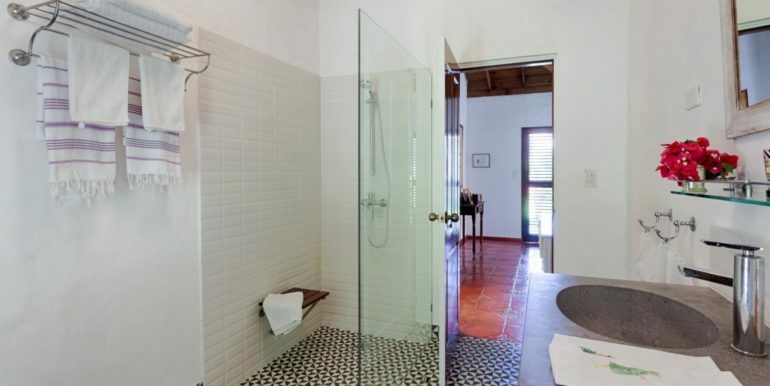 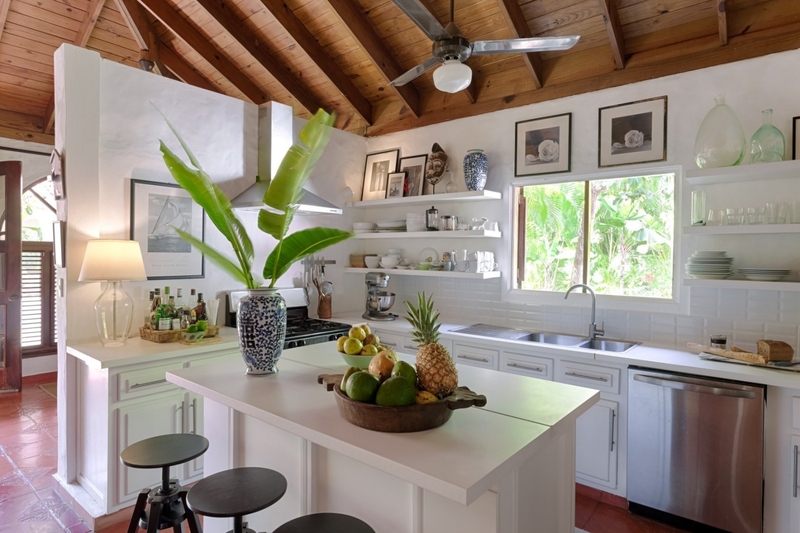 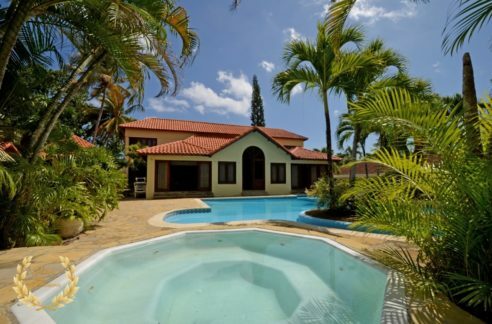 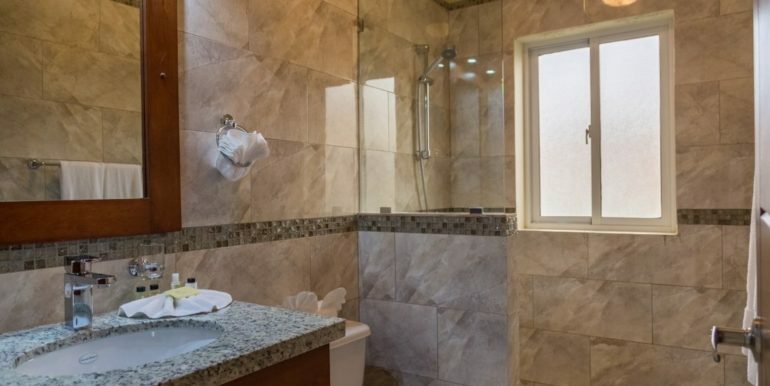 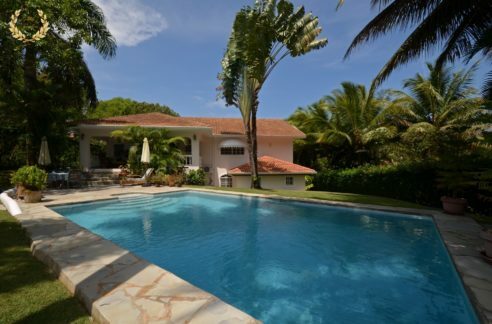 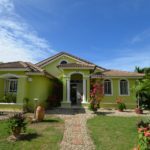 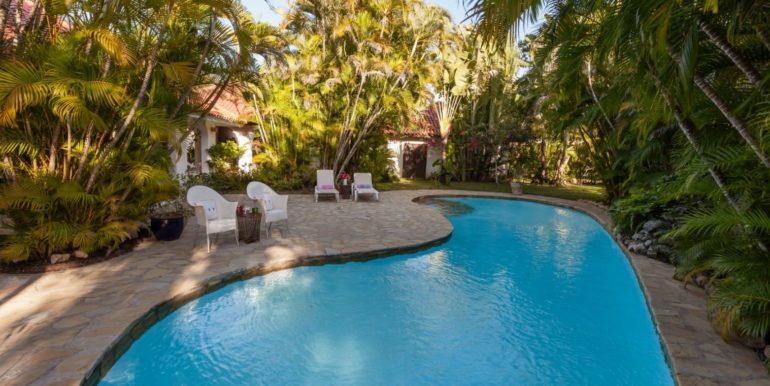 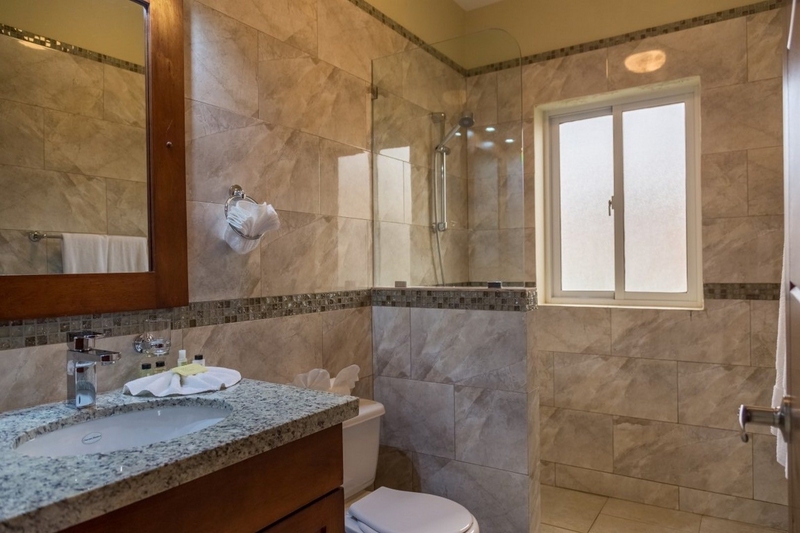 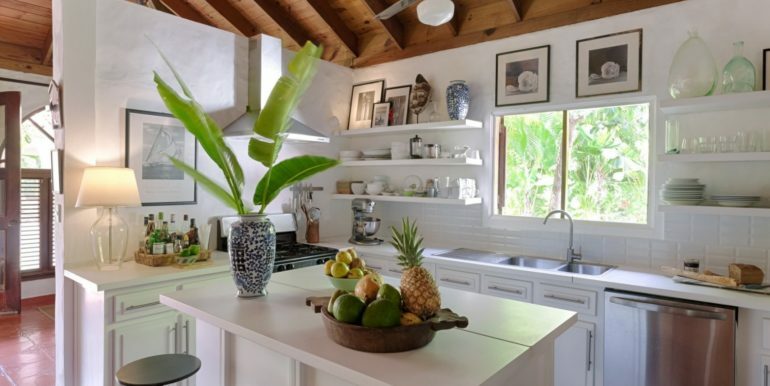 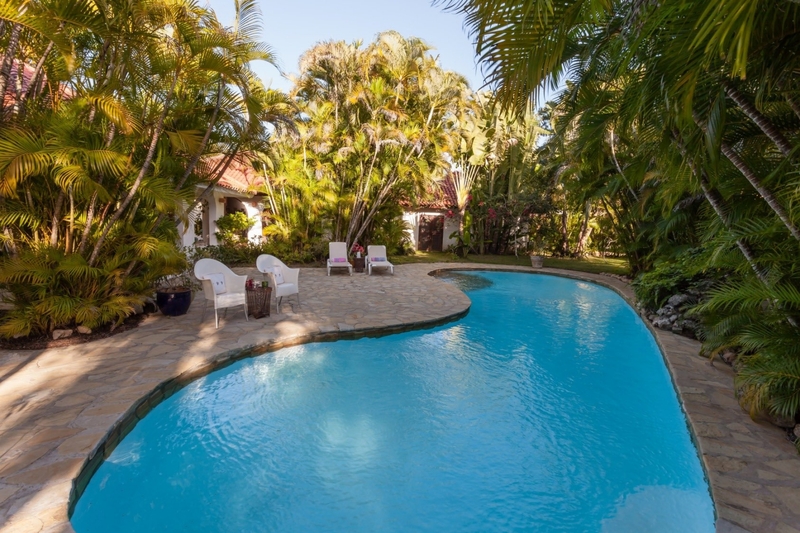 This villa for sale in Cabarete has a lot of features that make it one of the best deals at such a price, including 24 hrs security, back up generator, well equipped kitchen, Spanish tile flooring, fine wood cabinets and exquisite furniture. 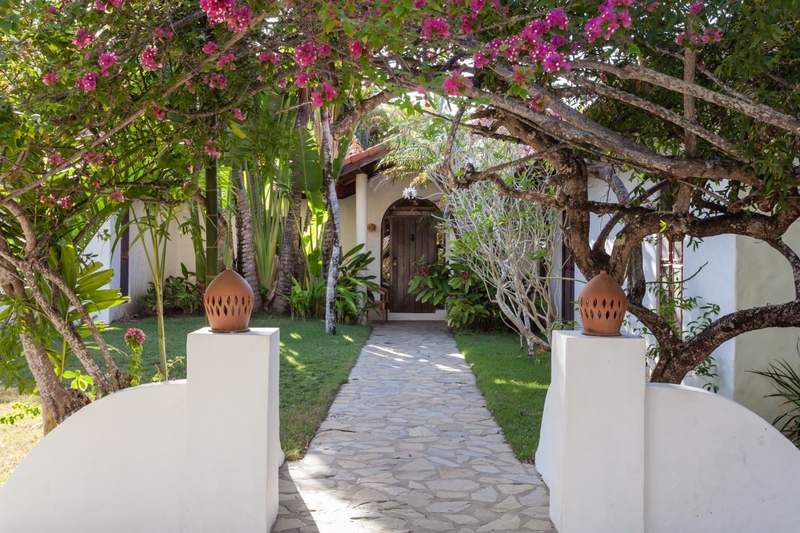 The villa has available parking for 2 cars by the drive way. 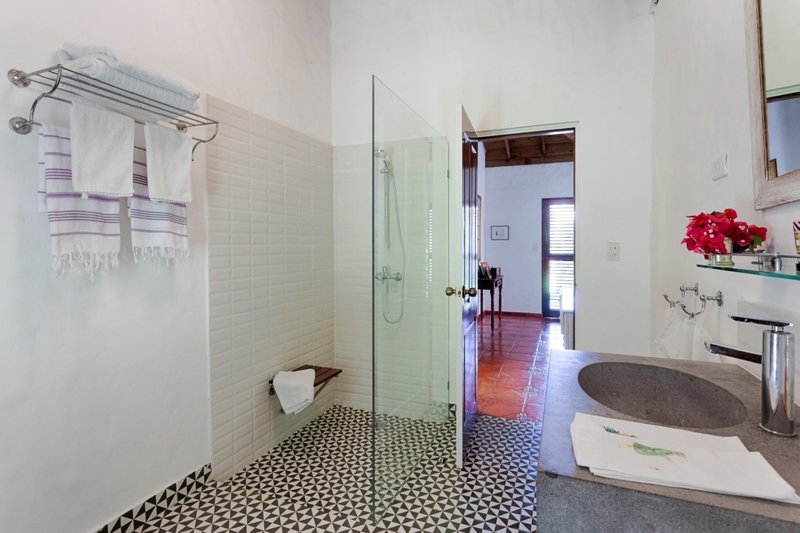 A laundry area includes a washing machine and dryer. 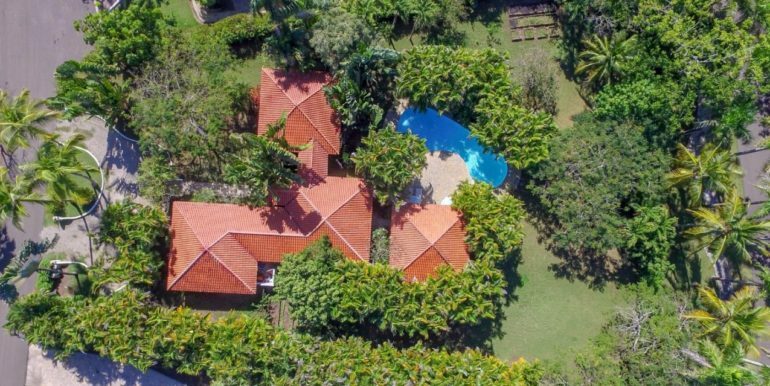 There is a beautiful gazebo facing the pool and the lush green gardens, a perfect area to spend time with friends and family. 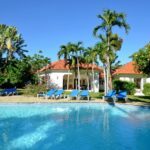 The villa is located just 10 minutes away from the local airport in Puerto Plata, and the best beaches in Cabarete and Sosua can be reached in five minutes. 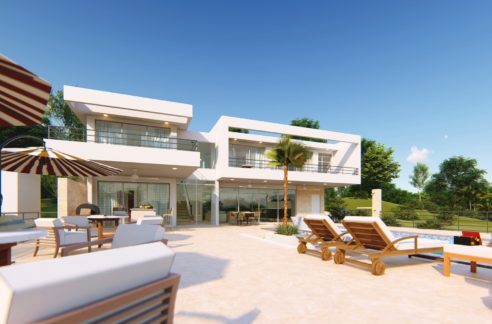 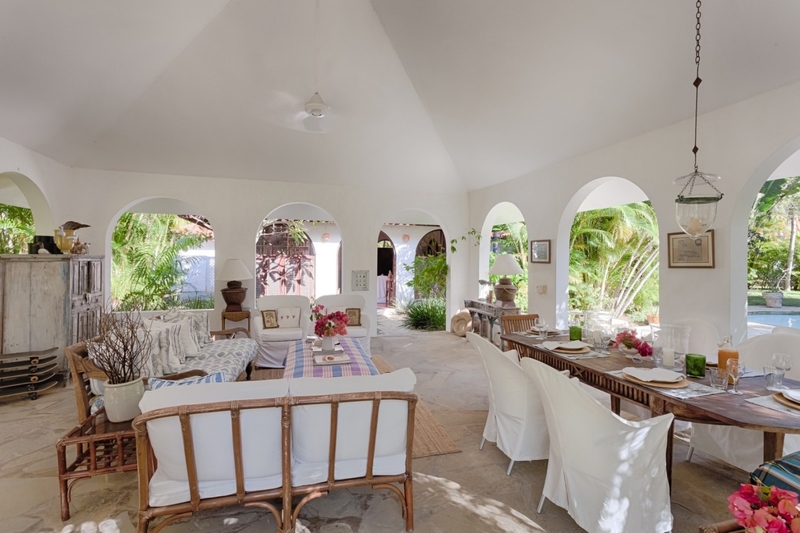 The villa is 346m²= 3724.313ft² and the land size is 2568m²= 27641.72ft². 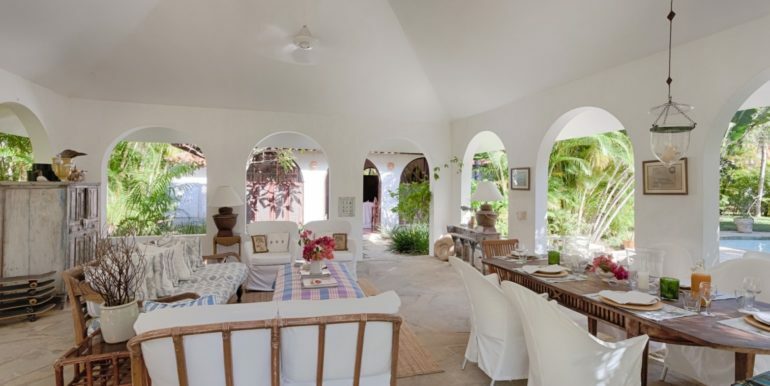 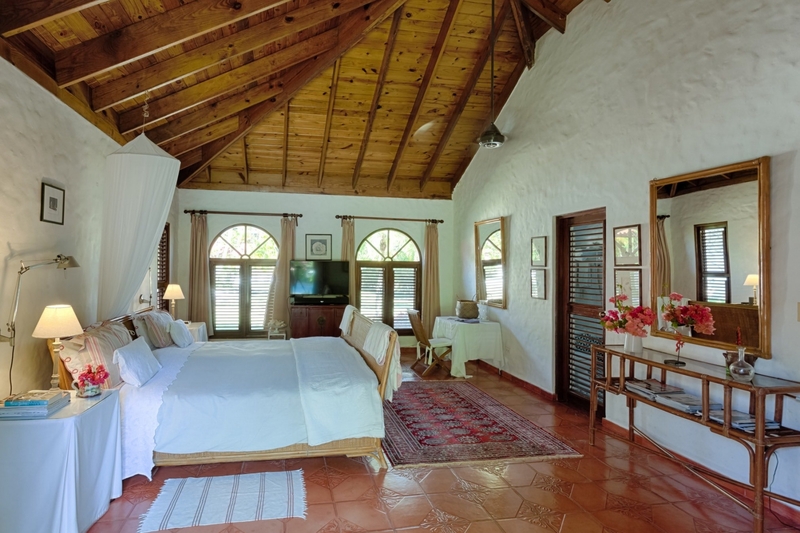 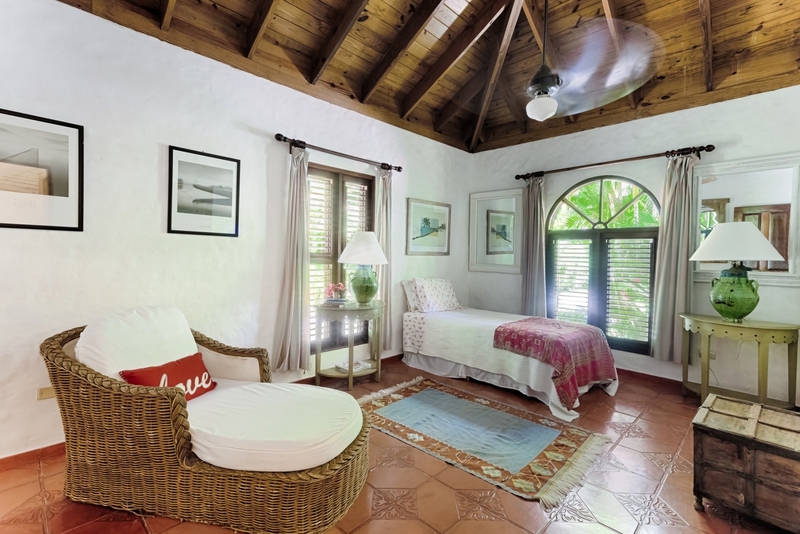 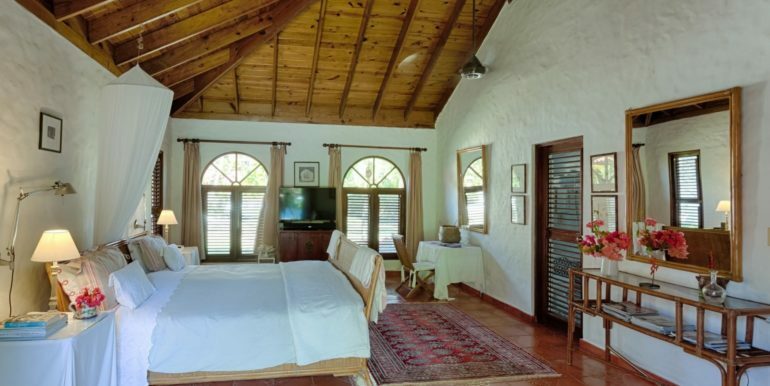 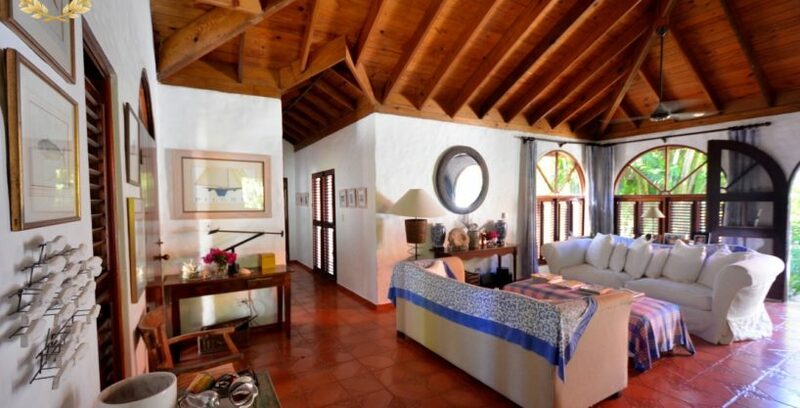 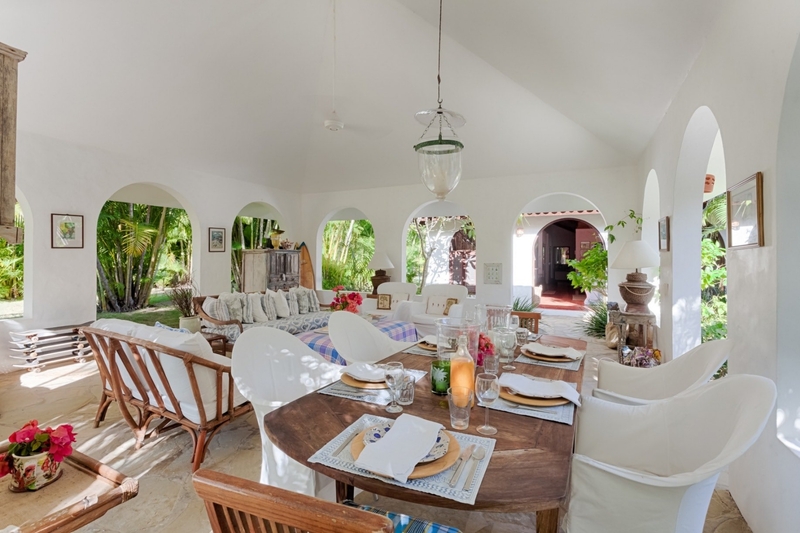 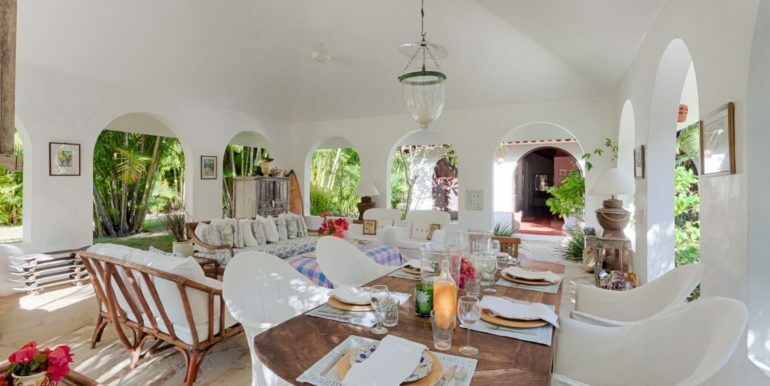 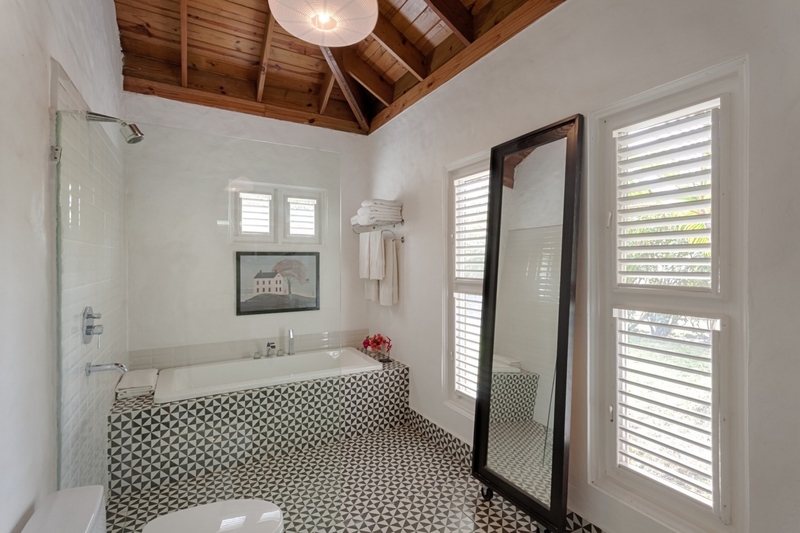 This is the villa for a nature lover or someone seeking to get a serene Caribbean home to walk in the beach each morning, worry-free. 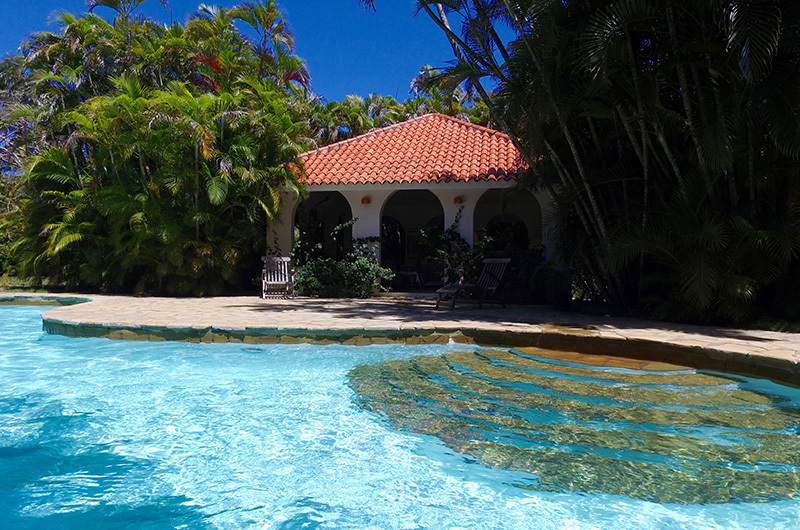 Scroll down to see video.